The problem with the present constitutional arrangement under the 19th Amendment is that both President and Prime Minister Wickremesinghe are constitutionally vested with power that they can use to counter each other. The health of the national unity government is determined by nature of the relationship of these two personalities who head their respective parties. At present they are both contenders for the position of executive president when elections fall due in November 2019. Such a scenario was not foreseen in 2015 when President Sirisena was the common opposition candidate who pledged to be a one term president. In the absence of a new partnership agreement, their relationship is likely to deteriorate further to the detriment of the government. The failure of the president and prime minister to arrive at a mutually satisfactory accommodation is the worst-case scenario for the government. The electoral setback encountered by the government parties at the local government elections of February 2018 has made them acutely aware of challenge that will confront them at the forthcoming presidential and general elections in the next 18 months. They are also aware of the need for actions that would restore the trust and confidence of the electorate in their ability to deliver positive results. But so far despite the passages of three months since the local government elections little appears to have changed. On the contrary the government has increased the prices of petrol and gas which has directly increased the economic burden on the people who were already complaining about the paucity of economic dividends to them from the government. How the leaders of the government address the 20th Amendment would give an indication of whether they will work together or not and will have implications for unity at other levels of society. There are two challenges that the government needs to overcome. One is that the processes of change it has initiated are too slow. Although land is being returned, those to whom it is returned need economic resources, housing and livelihoods which is not forthcoming. Although the government has committed itself to increasing the number of Tamil speaking police personnel in the Tamil majority areas, in some of them there is hardly a single Tamil speaking officer. Although the Office of Missing Persons has been set up, and has started public meetings, it is not yet equipped to deliver on its mandate of locating the missing persons. Due to this the moderate Tamil parties wo are allies of the government are losing ground in the north and east to the more nationalistic ones as witnessed at the local government elections. The second challenge to the government is to communicate to the people and explain to them what it is planning to do and what it actually is doing. In his speech to Parliament after it recommenced sittings on May 8, the president pointed out to the plethora of achievements of the government which have gone unnoticed. These included passing the amended Act to establish a National Authority on Tobacco and Alcohol in March 2015, the National Drugs Act adapted in March 2015, and the 19th Amendment to the Constitution adapted in May 2015 which reduced the powers of the presidency. In addition, the Right to Information law to empower the citizens and the establishment of the Office of Disappeared Persons and the Witness Protection Act to ensure transitional justice and co-existence are also in place. The president also pointed out that on the tangible economic front, during the period 2015 to 2018, a land area of 40,475 acres has been released from the use of the military and this amounted to 85% of all the land occupied by the military during the war period in the Northern and Eastern provinces. In addition, there is an ongoing programme to provide ownership of one million land plots to people and to restore and repair 800 small tanks in the North Central Province, 1400 small tanks in the Northern Province, and 350 small tanks in the Uva Province. Another 18 laws related to economy were adopted with the desire of effectively to manage the inherited Rs. 10 trillion debt burden and to enhance state revenues. Many of these achievements are not common knowledge to the general public. The failure to communicate on the part of the government is due to the disunity within the government which resulted in three government spokespersons being appointed who often spoke differently on the same topic. The opposition is also utilizing the democratic space that the government provides to widen the pre-existing rifts between the religious and ethnic communities by stoking up nationalist fears. The growing dissatisfaction of the general population towards the government could be attributed to the lack of unity within the government when it comes to problem solving. By way of contrast the opposition parties are united in denouncing whatever the government does. The problem for the government is that due to the internal divisions, the processes they have commenced continue without delivering anticipated outcomes. These include the strengthening of the judicial system to take on corruption cases but without decisive action that show the government’s political commitment to put an end to corruption. Another example would be the national reconciliation process in relation to the ongoing constitutional reform process. Although the government is returning more and more land to those who were dispossessed during the war and has set up the Office of Missing Persons to address that burning issue, this has not satisfied those who want to see evidence of the government’s political commitment to the political rights of the ethnic minorities to self-government and to the greater devolution of powers. The political space opened up by the government over the past three years has enabled political parties and civil society to engage in public activities without restriction. On the one hand, this has increased the divisions in society, as manifested in the public activities that commemorated the last day of the war on May 18. On the other hand, one of the most positive features of the present time is the interest that civic groups at the community level have in working for social issues. The marked improvement in the human rights situation and the opening of political space has meant that they are no longer afraid to mobilise their energies on behalf of their communities whether in the north and east or elsewhere in the country. It is unfortunate that they are not receiving messages and direction from those at the top of the political hierarchy that reaching out to those of other communities is also a priority. The political leadership at the national level need to set an example of being united so that the work for ethnic and religious unity is more powerful than the work for disunity. Is there any way of challenging the Buddhist Sinhala Fundamentalism? It is the Buddhist Sinhala Fundamentalism dictates and decides on who should govern the nation and what form of government this island should have. Tamils and Muslims and non- Buddhist Sinhala are wasting their time expecting equality & rule of law in this island. The political leadership of SLFP, UNP, SLPP, and LSSP or CP are not prepared to go against the Buddhist Fundamentalism. Buddhist Sinhala Fundamentalists need a separate country and others need a separate country. The country needs to be divided into two or three, otherwise all should convert into Buddhist Sinhala Fundamentalists. Thanks for been honest with it. All the bigwigs who supported this government are hidden racists who despise the culture and history of this country and who want to partition this island along ethnic states. This country has national holidays for minorities while Australia does not. This country has Tamil as a national language while India does not. In this country a Tamil child can learn in his/her languages while in England you cant. This country practices Muslim law for Muslims while USA does not. This country has separate political parties for all the ethnic minorities while Canada does not. In Sri Lanka you can sing the national anthem in Tamil while in France you can’t do the same using Arab. More should be done yes, but not while idolizing countries that has given zero compared to Sri Lanka. Greetings Jehan,its always a pleasure to bread your articles . So where will this new patch protect first and foremost the large chunk of One billion USS due from China! another. Noose around the Citizens &their future generations. The government will provide expenses as any other have done in the past and the opposition will be shouting robbers ,thief’s . And next election it would be other way about ,the ones who were shouting robbers and thieves will be shouted at Robbers &thieves by the lot who were suppose to be . I just can not comprehend why on earth can Sri Lanka change its constitution to one that will have a people power block ,where final decision is by a group of trustworthy citizens ,chosen by the people like some what the Jury is ? Where keep amending the constitution that has never served the people ,but have always let politicians gain? Why can’t we have something like the swedes ,the Swiss etc .why on earth can’t we have a constitution that the people have a control over the House and its decisions. !? How can you call this social democracy ,where people have no say or control and no safety of life and no equality among all citizens ! ? How long do we bear being fed grass ? There is no need to abolish the presidency ,Iceland have a similar system of president and PM ,but there is accountability. What is needed is to bring in a law to stop politicians cheating the people by crossing ,there should be a peoples authority to approve it if its good for the people only ,and every cent borrowed ,taxed , spent should be available online for people to check 100% transparency. The law should be the same to all and the facility of access to all three languages is most import. LKY understood Singapore Will. never make it with the Chinese language alone ,have we ? What Jehan has outlined as achievements are interpreted differently by the masses. For example, the return of the land is seen as the weakening of the security. The drug-related violence has increased to the Sao-Paulo levels. The TNA politicians have increased their racially divisive rhetoric instead of the tone of reconciliation. The state-sponsored policies are interpreted as attacks on the self-esteem and dignity of the public. The indecision and lack of certainty are just the symptoms. Some partners of the government are pushing for alien policies that are designed to break the will of the people to achieve their right-wing political and economic goals. The handbrake often pulled by the President is not out of his own volition but is a natural reaction to the public sentiment. 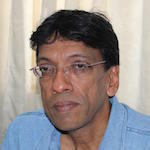 The reality is that these so-called civil-society representatives, aka intellectuals like Jehan, who should be consulting this government on strategies to win the hearts and minds of the people, are narrow-minded, incapable individuals who can’t see, and therefore, can’t think beyond their enclaves in Colombo. Proven again and again are their failures in designing and executing the transition of the public sentiment readiness for 20A and beyond. Maha-Sangha, although not that educated, but remains close to the people, have won. Time to retire and hand over the reigns to some young thinkers. But how come not a single person here ever comment of a new constitution that will give more power to the people ? All I see is plain bias ,Unpers want their leader change and the government to remain UNP ,The others just want UNP out and Rajapakshes in ,so how will thesr two actions if anyone is implemented ,will help stop the league of borrowed funds , stop destroying our environments , stop becoming trapped in more and more debts , and stop the country be soldout , bring unity ,peace , ? whoever comes in all they need is get the majority of votes ,after all they are all expert at it and we have a constitution that had ample provisions to do so and just bring in another amendment and carry on what is good for them and not for the people or nation. Prejudice dies hard ,most people ,the country comes secound .,their Political Gods who will ratify their agendas of prejudice matter most. Very tragic ,when you have a people who refuse change and not willing to see further . I do not agree all politicians with a degree will make good politicians ,that is a myth . The house also need people with long experience and skills ,skills can over rule the paper qualifications. PM was talking in Billions ,but not sure ,he is happy about the USD .One billion coming in ,he said its good news ,,good news for whom? I wonder if CT and all other medias could possibly create a vote to test the real feelings of the people . 5) change the constitution completely with one the has Peoples personal representative ,as to decide on approvals of Tenders , borrowing, spending foreigners investments and safe gaurd the entire environment ,not just The Forest ,more importantly our river beds , oceans (Prevent bullying us into dumping nuclear waste by any country that we may be in debts to) ,our granide being destroyed , our line stone ,and many more . people must have the right to approve on the safe quantities of some resources and completely ban on those that are totally endangered . People must wakeup , or we will regret it with tears of blood . Don’t let this country be robbed and destroyed ,don’t play into hate games, unite as one people ,if you really love your country. Please . Sri Lanka’s debt burden is suppose to be higher than Ethiopia ,Uganda & Ghana . To add to recent riots ,Mirise attack on Tourists , where do we go from here , so lot of people think changing the present government to a more steel handed governance that will suppress everyone and everything will be the right decision ! ? The more the Tamil politicians talk about, commemoration of war dead in the North, Tamil Elam, separatist agenda, and Tamil Genocidal Day, do not expect reconciliation with the Majority and by doing so, the current Tamil Leaders are taking the destructive path for Tamil masses by poisoning their minds as same as the previous leaders did since 1933 on non-existing problems and unrealistic solutions. Well were you planning or agreeable to reconciliation in the first place? If there has never been problems since 1933 what are you trying to reconcile with? The problem was created by the public racist Aryan Anagarika Homeless Dharmapala who died in 1933 while living in his ancestral homeland Sarnath, Varanasi, India. Democracy is when people control the government. DEFINITELY NO for a parliament elected president. IT is better to be abolished than having a parliament elected president. Voters do not need another power above what the voters voted for. PArliament selected president means, when the special interest groups buy the parliment, president will be his puppet. what you guys wanted was executive presidency abolished. Why do we need a president elected by the parliament. Present executive presidency abolished and an EXE cutive prime minister elected by the people or POM abolished, and present executive presidency more strengthned. 13 th amendment can stay and it needs to be modified to make HIndai happy and Tamil castes get their local govts. Tony Benn the only honest British devised Five Essential Questions of Democracy. As far as I am concerned the most important question is the last one. This is Jehan PhD’s third somersault on this subject. Somebody wants to pay. So, Jehan PhD wants to write the objectless rubbishes. There is nothing the 20A can achieve other than invalidate 19A, including re-opening a chance to Old King once again to rule the Kingdom. .
Ranil is in Jaffna to use Sumanthiran in cheating Tamils and have this done. If Ranil sees New King standing back again, he will go for 20A, otherwise he will defeat it. He changed his mind from 2015 election, the time when he promised to abolish EP. There is a main reason why he liked EP removed, 2015. Tamils have been destroying his dream from 1995 when they went with Chandrika’s Sudu Nelum. Tamils knows him. So from 1995, so far they have not voted for him (or UNP). That is how he can teach a lesson to Tamils who control the EP election. If New King stands, he cannot fool the West again with CC game. So he will not run risking depending on Sinhala Buddhist Votes. JVP knows if Sirimavo couldn’t be Prime Minister, it will be JR. 20A cannot change the persons. If Ranil not coming Vaalaiththoodam Junior or Old Royals or even Eraj Ravindra Fernando would be the next Prime Minister. But JVP, too, like Jehan PhD, see this is as an opportunity to remove Tamil influences. This appears to the last chance to remove EP. None of the future guys will be giving EP removal as an election promise. Even if they have to give it as last resort, they wouldn’t be anyway different from the past few presidents, who have been giving that promise. The important point is, 19A may go away and 18A may come back, but removing EP appears to be coming to a dead end. If Yahapalanaya miss this 20A implementation opportunity, then until Yahapalanaya is there, Sampanthar will be asking for Secret Solution. UNP and JVP are seeing this as an opportunity to neutralize that too. That above method, which is Blocking Secret Solution from coming to parliament is not very attractive to Old Royals. They view it in two parts. 1). By easily defeating Secret Solution when it comes to Parliament will give them advantage in election. 2). If it goes out to public, then it will like the wild bird voluntarily coming in and sitting in their hand. They will use that referendum much, much more than for all what they needed. That may even deliver the Opposition Party Leadership to JVP. Then JVP can become a partner in sharing the China’s commission and sign its own letters to Customs to release the cargo containers without opening. JVP is putting its little calculation of everything & playing its own Foxy patriotic game. It appears almost all Yahapalanaya politicians will go with 20A, while in the background keep TNA cooled with the never ending 100 days solution, i.e. the talk of Secret Solution. Ranil’s visit to Jaffna has created concern for Old Brother Prince. He is one of the few against 20A so he can be the next EP. He has to find a break through from America’s rejection to release his dual citizenship. He has to have his Brother accepted him as the Slap Party Candidate instead of his Nephew, the Son Prince. With all those troubles, Ranil has starting campaign 1 ½ years ahead in North, where Prince is weak. It has made him to promise to Tamils that he will treat Tamils in future like the way he treated the Muslim Spies during the war. A really smart talk to defuse Ranil’s under hand techniques! Unless UNHRC refers Resolution 30/1 to UN-SC and anything come out of there as solution nothing Sampanthar can do will work Tamils. While UNP not openly denouncing JVP to for bringing 20A but half-heartedly restarting the Secret Solution means, Ranil is clearly seeing Sumanthiran with him in cheating Sampanthar so he want to go ahead and fool Sampanthar. Jehan should replace Rajitha as the govt spokesperson. Jehan is a better spin doctor…………..
And more anti sinhala buddhist. That is the qualification right? Just imagine if Dr Ranil had the 20 A.
Dr Mahendran would have been still Governing the CB. Sira would have been in Polonnaruwa. Sampathar, Wigneswaran Sivajilingam would have been issuing entry visas and work permits to the Southerners. And FDIpermits to the Diaspora. Aloysious would have saved his USD 18 Million which he was forced to donate to 118 UNP and SlFP Politicians. And PTL would have bought Three Coins and Lion Larger as well..